Mine may have been the 1st, 2nd, and 3rd most embarrassing moments of my life all wrapped up into one episode. When I was dating Mary, who became my wife of many years and counting, I tried to impress her by always being a kind and thoughtful gentlemen who went through his life smoothly and with confidence. Except for this one time. 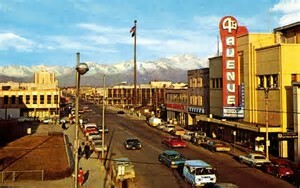 One Saturday evening Mary and I went on a date to see a movie at the 4th Avenue Theater in downtown Anchorage, Alaska. 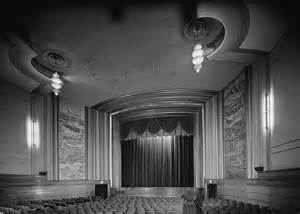 Once inside, we entered the auditorium on the right side and found two empty seats in about the 6th row. Mary walked in front of me as we headed for our seats, just on the other side of a man and woman. Mary took her seat and I took the seat next to the woman. Suddenly I stepped on a blob of buttery popcorn and my left foot slid violently next to my right foot, sending my legs under the seat right in front of the woman. As I fell, my left hand landed right smack dab in the middle of the woman's abdomen. The woman looked like she was about 13 months pregnant and her tummy was really sticking out. She shrieked as my weight pushed on her abdomen just before I hit the floor. She was shocked, her husband looked horrified, angry and like he was about to start beating on my head with clinched fists. I was now on the floor in front of her, my legs were both under the seat in front of her and my left hand was on the front of her chair. With my right hand I quickly reached up and grabbed the top of the seat that my legs were under and I somehow pulled myself up. I quickly apologized and headed for the concession stand. Along the way I tried to wipe off the greasy buttered popcorn, old sticky soda and the three shades of chocolate that had come off the floor and onto my pants. At the concession stand I ordered 2 small popcorns and 2 sodas. When the lady behind the counter asked if I wanted butter on the popcorn I stammered "bbbuutter? Nno, no butter, just plain." As I walked back into the auditorium I froze up. I couldn't bring myself to return to my seat, so I just stood there trying to get Mary's attention by loudly whispering "ppppsssttt - Mary - ppppsssttt." She finally heard me, turned around to see me and I motioned for her to come to where I was standing. We then walked across the theater to the opposite side where we found 2 new seats. I quickly checked the floor before sitting down and as soon as we took our seats, Mary and I began snickering like a couple of 7 year old kids. 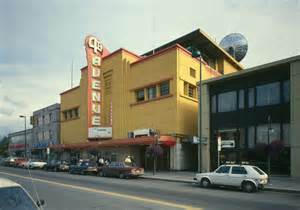 I have often thought about that most embarrassing incident in the 4th Avenue Theater. And I wonder if somewhere out there is a man or woman walking around with my hand print on their face - sorry about that. Check out this uniquely Alaska, one-of-a-kind 4th Avenue Theater Poster right now. Laughe'd my head off. Great story Mike. Thanks for sharing! Thank you Becky - Mary and I are sure you can easily picture the embarrassing situation I described in the story, as well as Mary's wide-eyed reaction. This story had me laughing out loud! Never had an experience like that, thank goodness!